The author shares insights direct from the Microsoft .NET development team, his own real-world expertise, and hands-on code examples to illustrate how to most effectively use the CLR and the .NET Framework 2.0 for smart client, Web, and mobile applications. 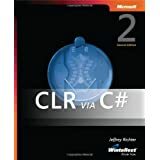 This is the best book I’ve seen about Microsoft .NET platform’s heart – CLR. I’m posing myself as .NET developer last two years and I read many books about C#, ASP.NET, threading in .NET and others but I know that only one book can explain what basis of all this thechnologies. 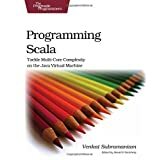 This book is similar to his previous book Applied Microsoft .NET Framework Programming but much more detailed yet easy to read and understand. This book covers new to .NET 2.0 things like generics, nullable types and others, therefor if you new to .NET 2.0 – this book is must-read for you.